The New "Monster Legacy Collection"
and see more images of the set(s). As was rumored for a long time, Universal is re-releasing a number of their Classic Monster titles in time for the theatrical release of Van Helsing. 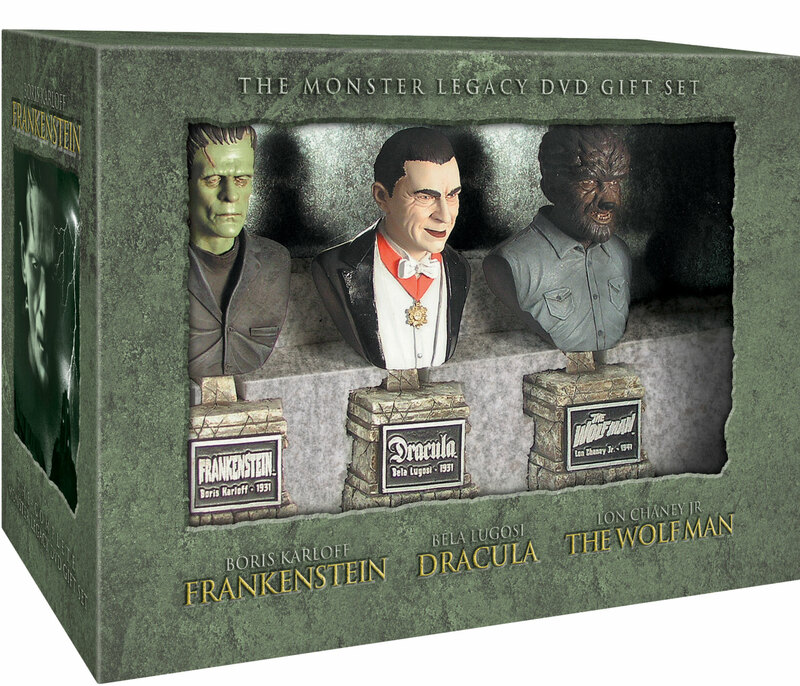 There are three separate Legacy sets, and one gift set that contains all of them plus bust sculptures of Dracula, Frankenstein and the Wolf Man. All are much more reasonably priced than the original releases, which will certainly make everybody happy! © 2004 by Steven W Hill. Contact me.